This post is a follow up of the libGDX and Kotlin post. 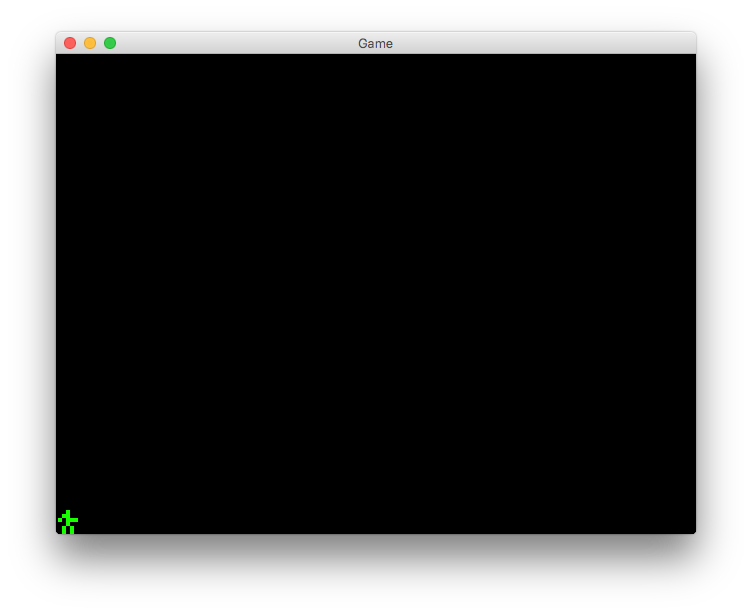 I have decided to prototype a simple 2D platformer (along the lines of Star Assault from my early posts), but instead of Java, I am using and learning Kotlin along the way. For this tutorial, the project should be in its initial state from the previous post. A bare-bone libGDX Java project turned into a Kotlin project. We’ll be jamming away in our main Game.kt file, formerly Nemo.kt. The project source for the initial state can be found here. Kotlin doesn’t require the file name to be the same as the class name, or even to be in the directory structure equivalent to the declared package. Without further ado, here’s is the first change to the code. The main class has been changed from Nemo to Game, because we will be using the name Nemo for the character. So Nemo.kt -> Game.kt as the first step. The following lines show the changes. #05 – Declare the attribute nemo of type Nemo and mark it for late initialisation. #21 – This line creates a data class with one attribute, position of type Vector2 from libGdx, and defaults that vector to be new Vector2(0f, 0f) in case we omit it when initialising. A data class is a data container class complete with generated getters, setters if the attribute is var instead of val, equals, hashCode, toString. Note the val qualifier for the attribute, meaning that the position is final and immutable. This means, once the vector is assigned to, it can’t be modified. The values of the vector can be modified however. It’s a good practice to make everything immutable unless otherwise required and Kotlin is designed to use this pattern as a default. The whole class is replaced by one single line nested in the class. Semicolons are not needed either to mark the end of the instruction. In Kotlin we don’t need to specify the getter or setter, we use the dot notation to the attributes. It’s all taken care of by the compiler and the accessor methods are inferred. That’s it for now. Make sure you consult the Kotlin documentation about classes, to understand more about them. In the next part, we will be turning Nemo into an animated and movable character.